The EU6m (could rise to 10 with bonuses) transfer of flair merchant winger Riccardo Orsolini in January caught some by surprise. Yet given his exceptional form, successful progression to the Italy U20 side and ever increasing interest from other clubs of decent pedigree the move was welcome and smart. The 20 year old was left at Ascoli to continue his development where he has made a staggering 40 appearances, plundered 8 goals and created another 6 for his colleagues. A superb debut campaign as a full time member of the seniors for the youngster. Present rumours suggest he might well remain in Serie B next season, joining fellow juventino Kastanos at Pescara, as Zeman plots a return to the top flight at the first time of asking. For the money spent, I believe and hope we will be fast tracking the lad to a higher level. There is another possibility to ponder. One which my cousin was banging on about with a mad glint in his eye earlier this year. Riccardo is juve to the damn femurs, President of the Juve Club Australia crowd and seems to travel annually to meet the squad and management on their pre-season escapades. His instant and now longstanding conviction was that we paid such a high fee for Orsolini for an option on Verratti. You see my friends, Donato Di Campli just happens to represent both players. I suspect mio cugino is projecting his desire for the natural successor to maestro Pirlo to head to Turin, yet…he might well have a point. Alongside him at Ascoli, 19 year old Francesco Casatta is another who has thoroughly enjoyed and embraced the step up to the men’s game, making 34 appearances, scoring once and creating five. Having represented Italy at U17,U18 and U19 levels, the combative playmaker debuted for the U20s in October and has since become a regular as he has been all season for his club. Our third player plying his trade in the Ascoli ranks is Andrea Favilli, former primavera hotshot, who we signed in synergy with Livorno. The prima punta has featured regularly in the first XI, 29 appearances, 8 goals with 2 assists. He has also forged a path into the Italy U21 set-up making his debut in March of this year. Other little ones worthy of commendation in the second tier…and beyond the peninsula. Roman Macek(20), the Czech midfielder aka Baby Nedved, yet rather less furious than his berserker compatriot. Moved to Bari on loan late January, has since gone on to make 16 appearances, making 1 assist. Recently made his debut for the Czech U21 squad. Long standing personal pick for a future at Juve, centre-back Filippo Romagna (19) headed out to Brescia just as the winter mercato curtains were closing. A first team regular since February, notching 16 outings. Representing Italy at every level from the U15s upwards, Romagna was selected for the U21 side in October, but has since been playing for the U20s. Despite suffering from an identity crisis in recent years, moving from Moroccan to French to Moroccan allegiance, at least in a footballing sense, 21 year old Younes Marzouk has been in splendid form on loan to Swiss second division side Chiasso. Racking up a superb 10 goals and 3 assists since transferring in late January. Francesco Margiotta (23) was in fine fettle, plundering 8 goals, with 5 assists from 18 games in the Swiss top flight for Lausanne, before suffering a wretched ACL tear, ending his season just when he looked like truly stepping up to the mark. Moving to Holland we find Ouasim Bouy, now 23, happy, prosperous and importantly maintaining fitness as well as form for FC Zwolle. Another late January deadline day transfer, Bouy has been a steady, valuable presence with 12 starts and 2 assists. Dropping down a league, Stefano Beltrame (24), has been a mainstay in the Den Bosch midfield. Making 29 appearances, with 3 goals and 1 assist, the former primavera creative genius has made great strides this season. Too late, most likely for any chance in black and white, yet I am happy to see him progressing. It is the least we can hope for. My final forage into foreign pastures finds Nicola Leali (24) faring well enough for Greek powerhouse Olympiakos. Playing ten in their Europa League adventures, the goalkeeper has also made 17 starts in league and domestic cup competition. He has likely done enough to earn a permanent move to a club of similar pedigree in the Summer, yet I hope we retain an option. Nowhere near a true pretender to Buffon’s crown, nonetheless a valuable asset who could well go on to have a very solid career at a high level. Whilst we were unsuccessful in the coppa italia and failed to impress in the Viareggio, our league form has been generally solid. We won the championship stage with two games to spare and are now preparing for the finals. 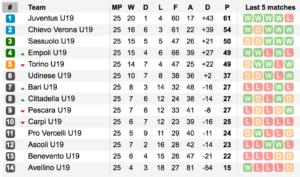 (We also managed, at the third time of asking, to reach the knockout stage of the UEFA Youth league but were then eliminated by Ajax). 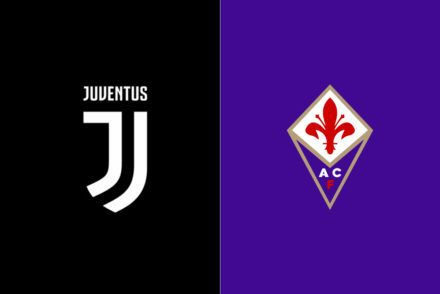 The primavera is divided into three leagues, set by geographical region. The top two in each league head directly to the finals at the end of the league stage. 3rd and 4th in each league plus the best 5th placed team compete in play-offs to produce the remaining two sides for the finals. 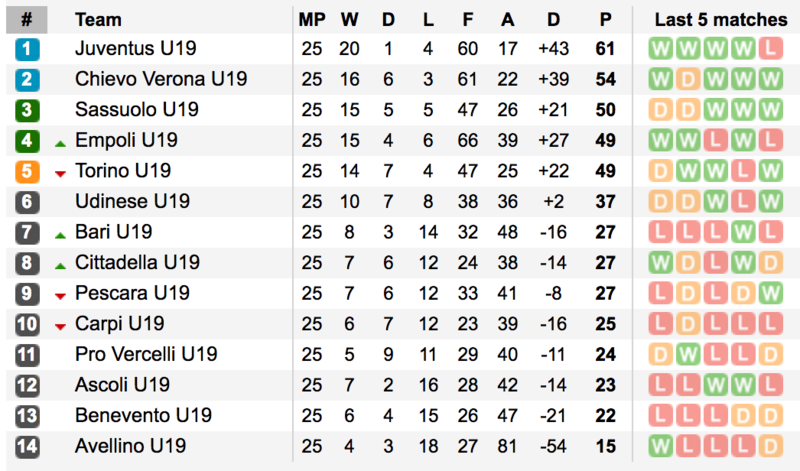 The winners receive a youth version of the scudetto and are then qualified for the supercoppa primavera where they face the winners of the coppa primavera. Kean and Clemenza have been the least surprising stand-out performers for the U19s, with the former finding three appearances for the senior side this term; brief outings late in the day against Seville in the champions league, and domestically against AC Milan and Pescara. 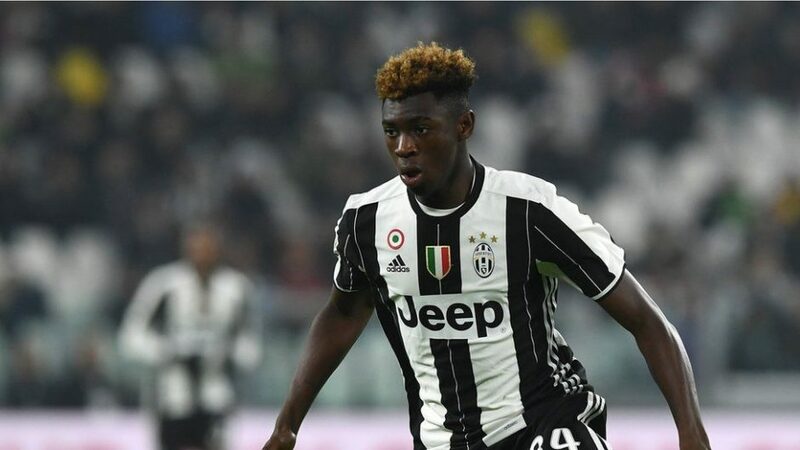 Both have been called up for the Derby Della Mole this evening, which drew Bioty back from the European U17 championships in Croatia, in which he grabbed the winner in Italy’s opening game against the hosts earlier this week. The 17 year old is clearly an exceptional talent and having been at the club since he was 10 we can but hope that he signs that ultra important first professional contract next February after his 18th birthday and commits to the club as they have committed to him. However, as many are already woefully aware; his agent is none other than Mino Raiola. Thankfully most signs point to him remaining in black and white for the foreseeable future. Though as with any majorly marketable talent signed up with the rotund wheeler and dealer supreme, it is likely that as with Pogba, once established with demand for his services reaching what Mino considers boiling point, he will move. Yet such negative predictions may be crushed by Bioty himself, when he moves from boy to man and decides upon his own path. Relations with his family have always been strong, which stands us in good stead for negotiations. Simply put, you just never know with Raiola. We are making him feel valued. Hence his debut for the seniors aged just 16. There is also a fair amount of discussion in Italy suggesting that he could be integrated into the first team squad for next season. Attacking midfielder Luca Clemenza, some say the most natural heir to a certain Alessandro Del Piero, is another ear-marked for glory. His recovery from an ACL injury suffered in last year’s Viareggio has been as perfect as could be hoped. His dribbling, set-piece threat, creativity and finishing remain outstanding and blossoming and it will be of great interest to see where he ends up next season. At 19, now fully recovered, it is time to make the step up to senior football. Italy U17 international Fabrizio Caligara has been superb in his favoured central midfield role. Mehdi Leris, the 18 year old towering wide forward signed from Chievo last summer has perhaps been the most improved player through the season, netting 11 goals and supplying 5 assists from 34 appearances in League and cup competition. Simone Muratore(18) and giant Senegalese powerhouse Franck Kanoute(18) have both prospered with industry, muscle and maturity in the middle of the park. And finally, honourable mentions for Brazilian duo Matheus Pereira and Rogerio, both of whom appear players of solid potential. Which brings me to the end of this enjoyable, yet brief cherry picking of those young guns who appear on the right track, some of whom will assuredly find themselves at Piedmont over the coming years to bed in as their home rather than merely a transit lounge before packing their bags and heading off to the Hungarian backwaters or Swiss second division. We remain seriously interested in Udinese’s superb young goalkeeper, Alex Meret, who has continued his upwards trajectory on loan this term at SPAL. Succession planning for Santo Buffon is one of the hardest tasks faced by the club. For the evergreen living legend remains physically and technically sublime. I do not expect us to bring in a young, inexperienced at a high level apprentice as our number two between the sticks. The position is simply too important to risk mistakes. Audero may well be learning much training with Neto and Buffon but he needs competitive games to develop, and the same goes for any other yet to be truly tested higher up the league. And so whilst we may purchase Meret, or take an option, he is unlikely to become part of the first team squad next season. Neto is our best bet, and perhaps he has bedded in for the long term assuming that at some stage, he will be considered for a starting berth. Also owned by Udinese, 21 year old midfielder Seko Fontana, has been scouted consistently earlier this campaign, yet perhaps interest may have cooled since he cracked his fibula in the fixture with Juve in March of this year. The Schick story continues to gain steam, with various scenarios doing the rounds. It appears he has a buy-out clause of 25m. And we do have a need for a back-up/ apprentice to Higuain. Already accustomed to the league, great feet for a big lad and his finishing is often exceptional. We may well loan them Bentacur as part of the deal with a buy-option set ridiculously low, as it will include a buy-back option and leave poor Angelici over in Buenos Aries feeling rather short changed by Beppe and Paratici, who he was damn sure he had shafted! My own inkling is that if we did sign him – which would be a marvellous move on what we have seen thus far – at a decent price, he would come this Summer. With our assistance employed to secure for Samp – along with an option for ourselves, a ‘synergy’ deal – the lively Argentinian striker Druissi, who would replace Schick. The idea of Schick, Lirola, Caldara and Bentancur, all relatively young players, joining Juve’s first team in 2019 is far fetched. We take on more experience than youthful vigour each Summer, as do all the elite clubs. Also gaining volume are whispers of Keita Balde swapping the capital for Turin. Now 22, the former ‘enfant terrible‘ of the blaugrana (hohoho!) would represent good value at 20-25m, given his contract expires in 2018 and we have a need for a natural attacking force down the left flank. His flair, pace and acceleration all conjure excitement, though it is fair to assert that his defensive focus would begin at zero and his end product remains haphazard. Still…on the other hand, he is a gifted footballer, a diamond in the mega rough. As was seen during his days in Spain, especially after finding himself sent away on loan to fourth division side Cornella as punishment for placing an ice cube in a team-mates bed. Which seemed harsh, for a kid of 15, who had been with the club since 9. Still, off he flew, subsequently finishing the season with Cornella youth with 47 goals to his name…Recalled, unsurprisingly to his parent club, young Keita stunned the swine by opting to move to Rome for a paltry 300k. As with Schick or any other CF who can roam, lead the line, get on the end of moves centrally, we have a need for a LM, given Pjaca’s extended absence. The Croatian may be back in training by September, yet it takes several more months to regain the strength and confidence required to return to full fitness and sharpness. I doubt he will be considered a first team starter until 2o18. Sturaro has been trialled in the role, yet this is more to give him some playing time than a serious attempt to morph a natural box to box hustler in the central midfield into a winger or even wide midfielder. It works pretty well with Mandzukic, as he is great at hold up play, beastly in the air and works like a trojan. However, Balde would massively improve the attacking threat on that flank, and possibly he could deputise for Dybala through the middle. The obvious question for a LM/LW role in our 4-2-3-1 is…can he be tasked with supporting the defence and midfield? I will leave that to Allegri to ponder. Yet I will address this issue, that of need versus want. As some supporters, especially the younger generations, have a tendency to squeal for every player who is suddenly ear-marked as world beater, after barely one season, not even in one of the so called top leagues. As a club we traditionally focus on the best of the domestic talent pool. I admire and enjoy this of Juve, and hope the tradition stands firm long into the future. We also hold a preference for purchasing proven talent in Serie A, especially in recent years where we have been forced, quite rightly, to invest intelligently. Speculate to accumulate and prosper. Gone are the days when we can rival any club for any player, at least financially speaking. 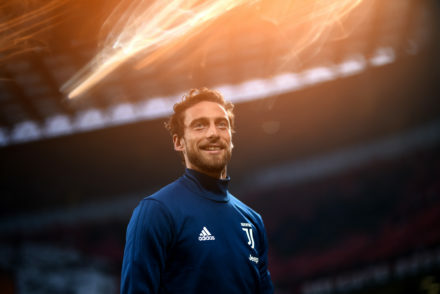 Gone are the days when the Agnelli family pump in millions with scant concern of reaping a healthy return on the investment not just on the pitch but in the club coffers. As was instructed by Elkann, when Andrea took to the Presidency, the club must be run like a business. We have been building a team capable of challenging at the top level. And now look likely to reach our second Champions League final in the space of three years whilst sauntering to a historic 6th straight league title. To improve this team further is a tricky task, for we have world class talent in every position of the starting XI, some of which spills over to the bench. Of equal importance to the depth of quality and competition for places is the magical team spirit, the collective thump of many hearts beating as one. Without this spirit, cohesive desire and togetherness, we would be simply at best the sum of our assorted, individual parts. Nothing more. Given our form since February and our results, there is little need to change much in the Summer. The future is as secure as we could hope, with the likes of Caldara, Rugani, Kean, Clemenza evidently stars in the making, and as we move towards that future, we need only tinker with the squad to continue our ascent. Mandragora could well be ear-marked for a first team squad role next season. High hopes for the lad. The only obvious needs of the squad at present are a LM, AM and CF. Every other position is very well covered indeed. Especially with Mandragora also now finally fit…A player who it appears is very highly thought of indeed at the club and who should spend next season as part of the first team squad. There is no point bringing in Caldara or any other up and coming CB now, as they will barely play. We also have superb back-up in that position, as we have comparably brilliant options at LB, RB, RM, DM. Perhaps and I figure this is likely, if we were to win the champions league, some players, big players at that, might well decide to embark upon a new challenge in a new league, not solely or even mainly to seek greater wealth of finance, but wealth of culture and experience. Big Sami has long been linked with the US, Lichsteiner was surely to have left in the Summer had Alves not broken his leg. Rincon and Lemina will be shuffled out regardless of our progress. Tolisso and Mandragora will be fine to replace them. If not Tolisso, Verratti for big money. I could not care less of who signs Mbappe for 100m. Let the premier league clubs chase such folly. He is nowhere near experienced enough to find a place in our first XI when Gonzalo and others are fully fit. We do not have the resources to spend 100m+ on a sub. Hence why I like the Schick option. And Keita. Both fit our present needs, have Serie A experience and are at a great age to develop alongside top class seasoned professionals. In short, as Beppe has noted on several occasions over the last 12 months, it is now a tough task to improve the squad.